Do you have little time to think of yourself whilst looking after your special needs infant and need someone to talk to. Here to listen Talking with someone independent in a confidential environment can help you work through your deeper feelings and provide you with the support you need. We provide a safe environment for you to say the things you struggle to tell others and be really listened to. Who does our service support? 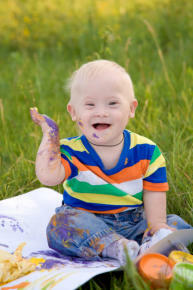 We are here for Mums and Dads of a special needs and/or disabled infant. You can come on your own or with your partner. Where are we based? Our office is 2nd Floor, Revenue Chambers,St. Peter’s Street, Huddersfield, HD1 1DL How to use our service Telephone 01484 515137 or email counselling@talkthru.org.uk Access for the disabled Our building is not wheelchair accessible however we have access to a wheelchair friendly venue so if you telephone or email the office we will arrange to meet you there.